The Lockheed US Air Force MC-130 Combat Talon I is a clandestine, search-and-rescue, and special operations aircraft built primarily for missions during the Vietnam War. Vietnam operations included informational leaflet drops, materials airlift, and most notably, operation “Kingpin”, an attempted rescue of prisoners of war from North Vietnam. The US Air Force MC-130 also participated in special operations in Iran, Grenada, Panama, and Kuwait. To mark the 33rd anniversary of the American hostages special operations rescue in Iran, several participating MC-130s were decommissioned on June 22, 2012. 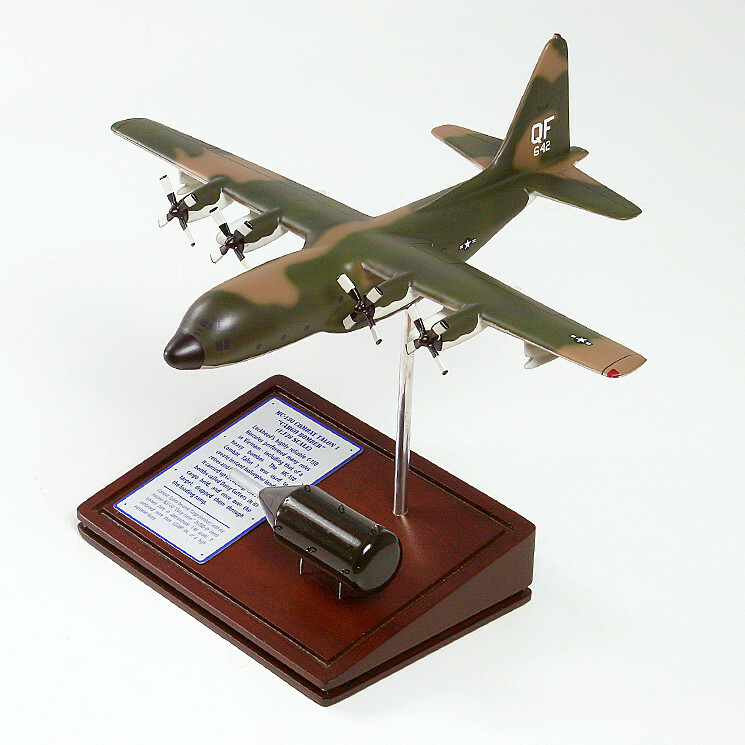 It’s no secret that this US Air Force MC-130 solid wood model is built with rugged quality in mind.